Growing up, television was much different than today. We had the choice of three networks and four channels. Three channels were form Syracuse and represented the networks NBC, CBS, and ABC. Our fourth channel was from Binghamton and was a CBS channel. TV was black and white, our color TV was delivered during my 12th birthday celebration. We still only got four channels and had to move the antenna on the roof to see them clearly. One of my favorite TV shows was The Rifleman about a widowed rancher who was raising his son during the post-Civil War period in the Hollywood-style Old West of New Mexico. Unlike the TV shows of today, this show had a definite sense of right and wrong. It also portrayed civic responsibility in the idea that sometimes community came before self. It also highlighted the concept of defending those weaker than you. The show aired form 1958 until 1963, but was in reruns for many years afterwards. I can still find it on occasion. 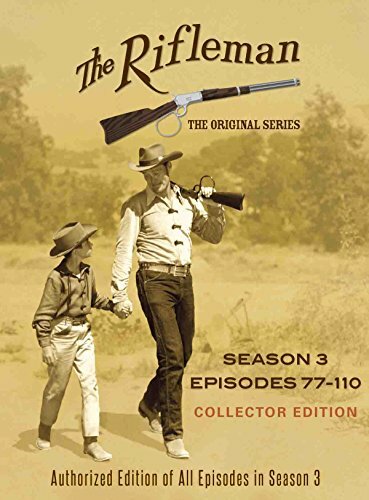 I realized, the other day, that much of what I learned about right and wrong and community and service came from watching The Rifleman and similar shows. The show always portrayed a clear sense of right and wrong and it seemed, in my memory, to revolve around a conflict where "bad" showed up required someone to step outside their quiet life and take action to restore order and protect the lives and property of neighbors and friends. The show also portrayed the judicious application of force to protect and serve, a concept that escapes many today. I'm not sure there is too much of this moralistic storytelling on television today. I find it harder and harder to watch shows on a recurring basis because morally they are self-interest oriented. 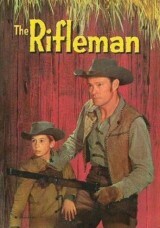 They don't make shows like The Rifleman anymore. I wonder, is that a good thing?